For more information about marketing your home for sale, download a copy of our Guide To Preparing Your Home for Sale booklet. Property Brokers have an expert sales team to help you achieve the best results. Here's some open home and sales advice. Your sales consultant will ensure the sale of your home becomes a team exercise, but in order to maximise the sale price, you will need to let go emotionally. It is important to take an objective approach towards your property and adopt a can-do attitude to correcting your property’s weaknesses and promoting its best attributes. Compare your property to similar properties currently on the market. This will help you identify the target market that your property will most appeal to. This process will give you a strong starting point on what you need to address in your property to ensure it appeals to your particular buying audience. Receiving a great price and speedy sale is much more likely to come from planning and preparation, rather than luck. Your house is the product, so you need to price appropriately to target the right buyers who could be convinced to make the descision to purchase your property would. When discussing the promotion of your home with your sales person, focus on key audiences for your property but remember appealing to a wider group offers more opportunities for sale. Professional photography ensures that photos are taken in correct lighting and from flattering angles. Getting professional photos enhances viewing of your property in print and online media, which is another marketing avenue to attract buyers. Be confident with your choice of salesperson, and the investment you are making in this process and you should be rewarded with a successful sale. To get started, begin a checklist of the areas you believe need work. Begin at the street front and focus on what will deliver you the best return on your time and money invested. Remember, first impressions count. 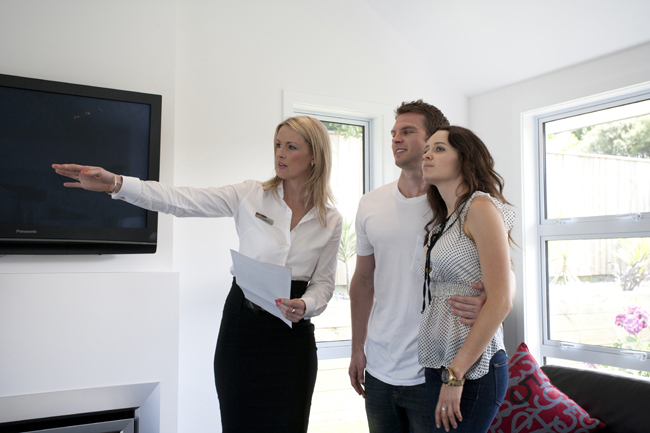 Buyers will be assessing your property’s suitability in seconds. When it comes to property hunting, it’s all those tiny details that add up to the vibe buyers get off your property. Whatever the size or nature of the property, there is an expectation of outdoor living. We have been conditioned that indoor, outdoor flow is a desireable way of living and we all want to imagine ourselves relaxing with a drink, sharing a meal with friends or beginning the day with a peaceful coffee, in this space. As with inside the house, take the time to de-clutter and arrange pots and containers in groups to provide optimum visual impact. Repair any uneven surfaces, loose deck balustrades, steps and consider water blasting and treating any decks. 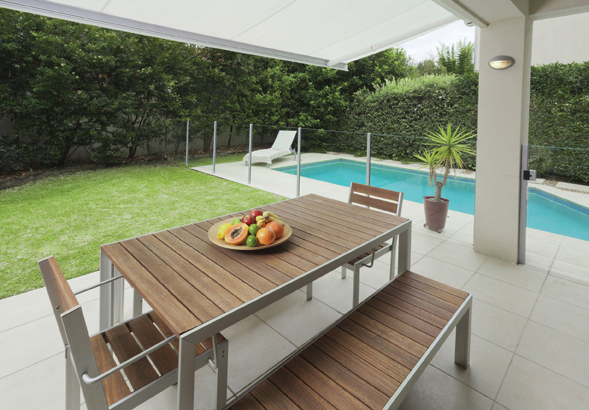 Consider renting quality outdoor furniture and a large market umbrella if yours has seen better days. With a diverse variety of living habits, these rooms are best presented to show off an easy, comfortable and social family lifestyle. 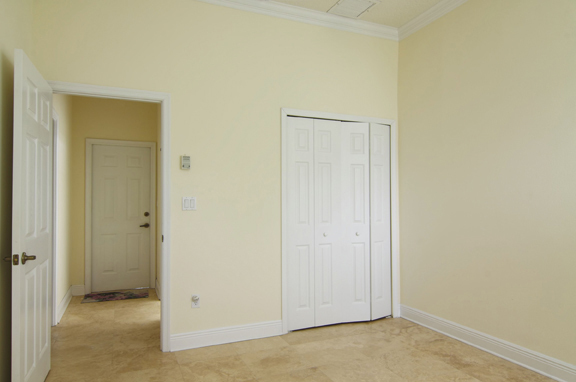 Make sure the room is not dominated by a large television or sound system. As a general rule, the less you have in a room the bigger it looks. Cleanliness and decluttering allows buyers to have a clear view of the potential for their own furniture and possessions. Consider moving furniture into storage if you have too much in the house. Kitchens are usually a key selling point in most properties as they are the heart of the home. Food preparation and eating has been upgraded from a chore and necessity into a pleasure and enjoyable social pastime. Buyers will come in and admire your ample bench space and they will also closely scrutinise every cupboard and drawer space, keen to establish how much room there really is. This means getting rid of surplus pieces we use on a less frequent basis to ensure the illusion of space. As with the bathroom, cleanliness is at the forefront so get those cleaners and scourers out and put them to good use, floors included. 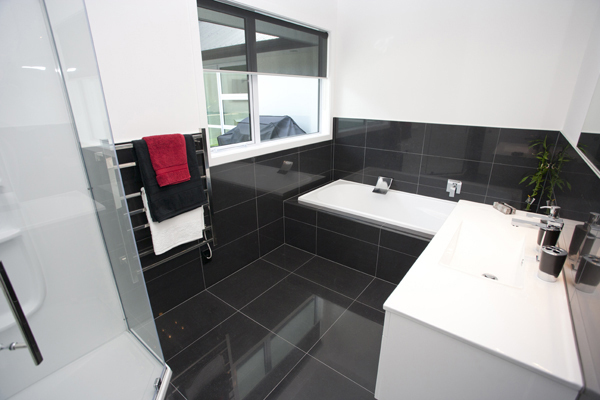 Bathrooms after kitchens are targeted by buyers as they are the most expensive rooms to renovate. Maintain and repair all visible damage and ensure fans, taps, and switches are in good working order. The appeal of this room is about pampering, as well as function, so add some glamour by refreshing with new towels and decorate with some scented candles and boutique bath products. One of the most important rooms in the house is the master bedroom. Today we regard it as a retreat, and we often model them on luxury hotels. Clear the room of furnishings surplus to average requirements and take this opportunity to rid yourselves of clothes and belongings that are not required. Dress your beds with clean and fresh linen. Duvet covers and quilts are an inexpensive way to instantly update bedrooms. Ensure each bedroom has a clear purpose. If it’s an office, stage it to look like an office. Often overlooked by the seller when introducing your home to the market, is the garaging. Buyers will appreciate a well swept and organised garage, in fact it can add a considerable amount to the price to the value of your home. Empty homes often present a challenge to sellers, sales consultants and buyers alike. For most it is difficult to imagine living in a blank canvas. Potential buyers can find it hard to imagine how furniture will fit, its optimum layout and how they will function in the home. These houses will often expose weaknesses to buyers that are perhaps over-exaggerated. Often all that is needed to represent the potential of the property is to decorate a few key rooms well. Leasing furniture from a hire company, home staging business or borrowing from friends/family can be an affordable solution in preference to buying new pieces. Costs for hire is normally about 10-20% of the furnishings value per month, and you can get pieces for specifically dressing your house for its market. Conduct a trial walk-through of the house as if you were showing someone through. Make sure everything flows and there are no objects restricting natural movement through the house. Working with your sales consultant, choose an optimal time of the day to show off your home. Think about the time of day when the house is looking its best. Consider traffic noise and when your target audience is most available to view. Brightness, lightness, and warmth shining into living areas is an asset. Buyers need to be reminded about north facing living and the advantage and comfort it provides.